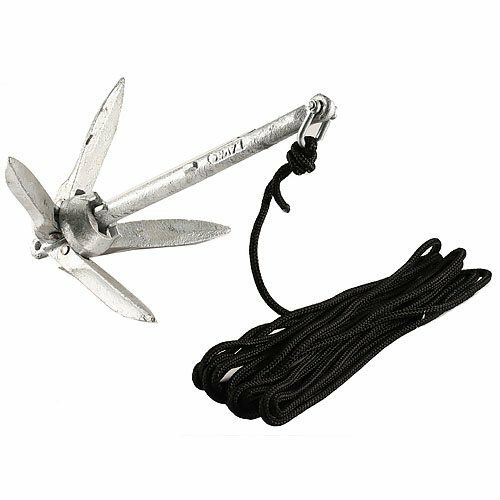 The Kayak 3# Grapnel Flolding Rope and Anchor Kit features grapnel anchor that holds kayak, PWC, canoe or float tube in mud, sand, gravel and rock. The kit includes a 3 lbs. silver grapnel anchor with 1/4 diameter x 20' of black diamond braided MFP anchor rope and mesh bag with drawstring.